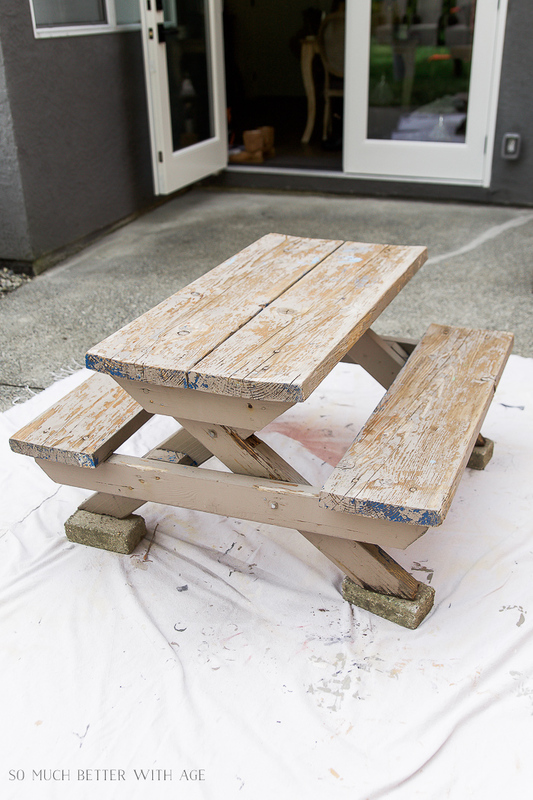 Kids’ Picnic Table Makeover – Fix the Rot or Just Paint It? 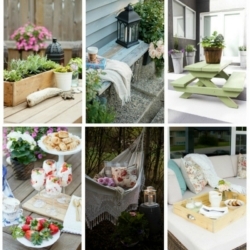 Welcome back to the final week of Outdoor Extravaganza hosted by my friend Shauna of Satori Design Living! 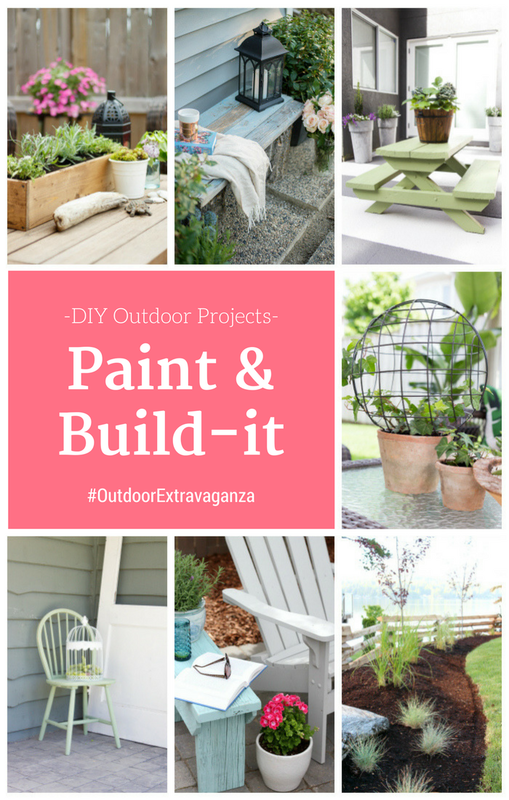 Today we’re sharing with you our Paint and Build It Projects and tomorrow we’re having a link party where you can link up your own outdoor projects. Let’s do a quick recap of this month’s projects. I have a good question that you might have thought about it…when you have something with wood rot, like this picnic table, how do you know whether to fix it first or just paint it? I bought this kids’ picnic table a couple of years ago at a garage sale and I didn’t realize that some parts on the table were rotten. Grrrr. 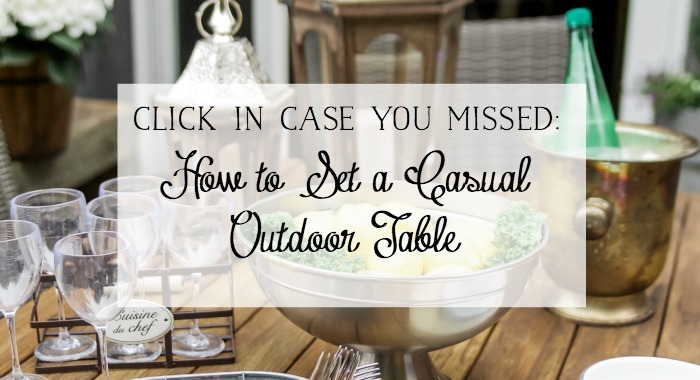 But the majority of it is in solid condition so I’ll share with you how I decided on what to do with this kids’ picnic table. I didn’t get a photo before it was power washed but the old grey paint was peeling everywhere. This table is heavy and solidly made but has some areas with rotting parts. We could fix the the rotting wood but that would mean replacing pieces or patching it up with wood pieces. We figured we could get some more life out of it (even if just one more year or two) with just paint. 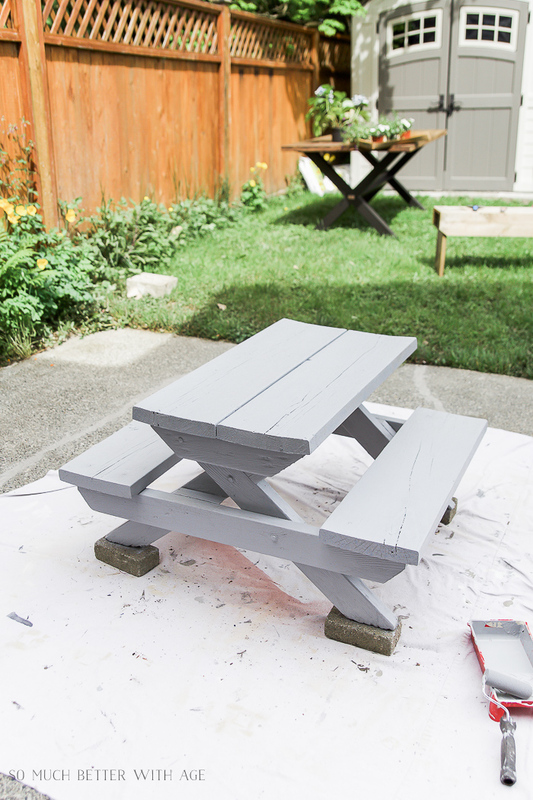 The amount of time that it would take to replace the pieces of wood AND paint it after seems like too much time involved for an outdoor kids’ picnic table. I think the next step (after this table dies) is to perhaps build a new one. 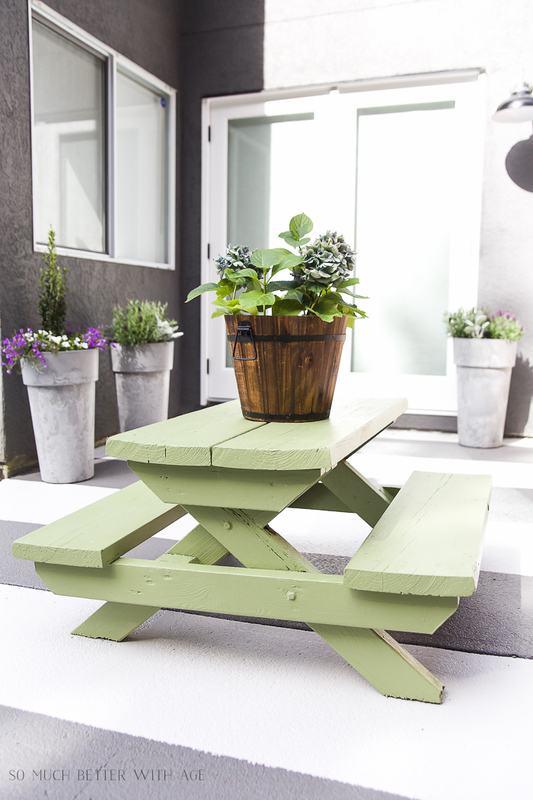 Before we grabbed our paint color, we primed it good with an exterior primer (again I’m using my favourite brand). We made sure to get a good amount of paint into all the nooks and crannies using an assortment of different brushes. The primer acts as a seal and will extend its life. 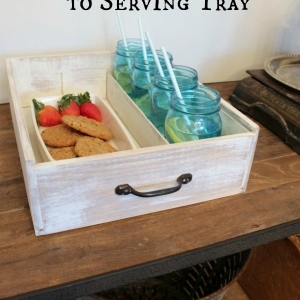 By spending time on this one step, you’ll save your table from more rot. We were thinking of capping the end of the legs with some metal caps which we didn’t get time to do but still might. After the primer dried, we painted two coats of Endive from Premier Paints (exterior semi-gloss), sold at Canadian Tire. 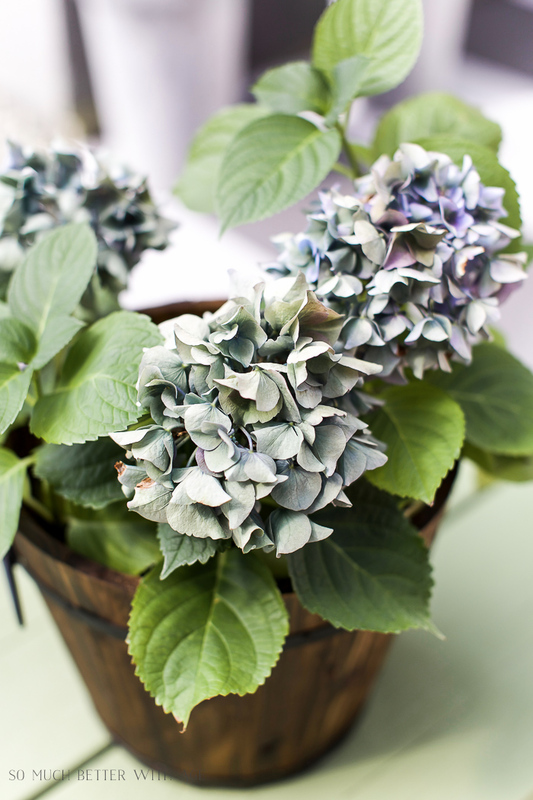 I’m a big fan of green, isn’t this color just gorgeous?! I was worried it might be too green with all the green happening in the backyard but I don’t think it competes at all. In fact, it looks amazing! You might have also noticed the concrete slab is painted too! We were busy bees this past weekend. It was a long weekend for us in Canada and the sun was shining so it was the perfect time to tackle the outside (we also attacked those weeds!). 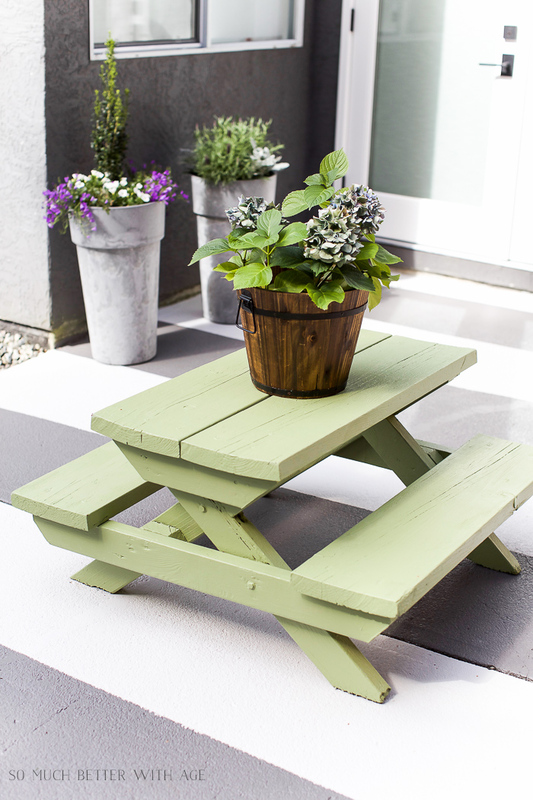 I’ll be sharing with you next week the step-by-step process on how we painted these stripes. This concrete slab, otherwise known as my back patio, was so ugly and cracked but it’s just not in the budget this year to build a new deck or pour new concrete. 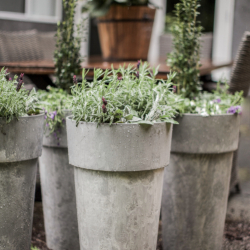 I think making the concrete look like an outdoor rug will help extend its life. Make sure to pop back next week! Saving a wooden piece with paint is the best! The kids love their ‘new’ picnic table. 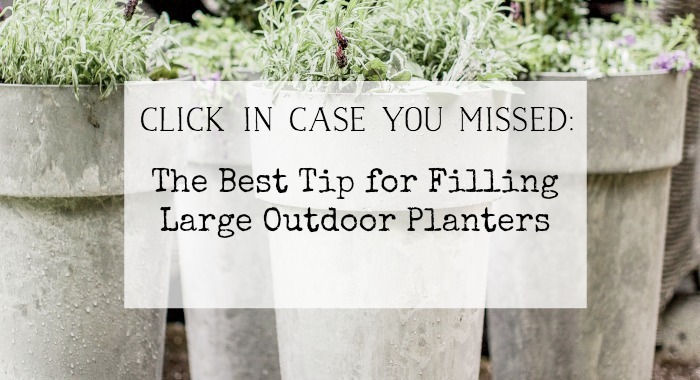 Now be sure to visit my other Canadian friends to see what paint and build it projects they came up with and pop back tomorrow to link up your outdoor projects at our link party. 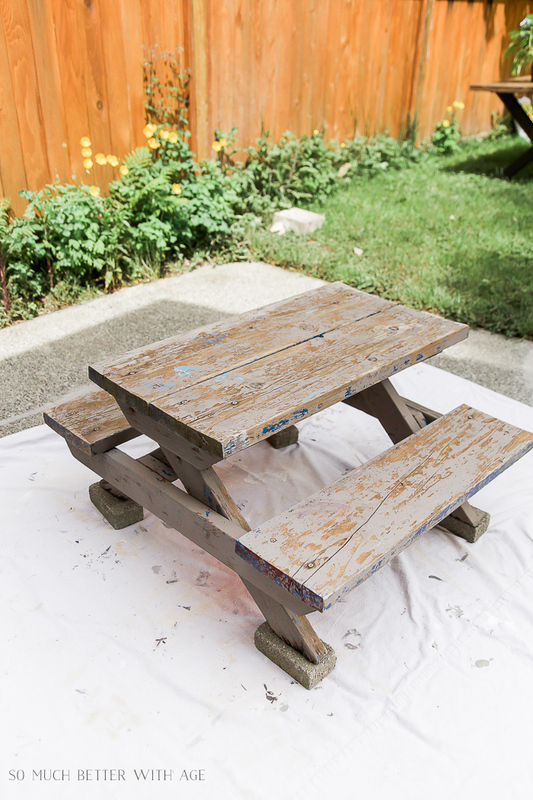 Kids’ Picnic Table Makeover – Fix the Rot or Just Paint it? by So Much Better with Age –> that’s me! I really like your little picnic table, nice color too. Loved doing this with you Hun! It turned out great! 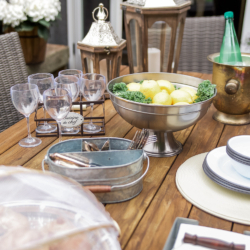 hey girl- love the table! So cool! Gorgeous! 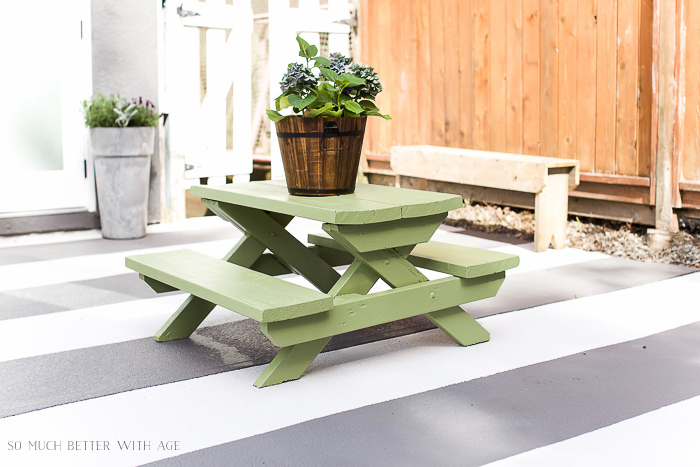 Love the color and the painted stripes on the patio! Thanks Carol! 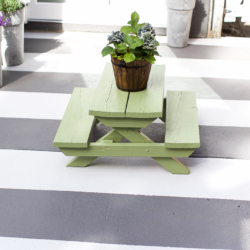 I just posted the other day how to paint those stripes on the patio. I’m loving how it turned out! 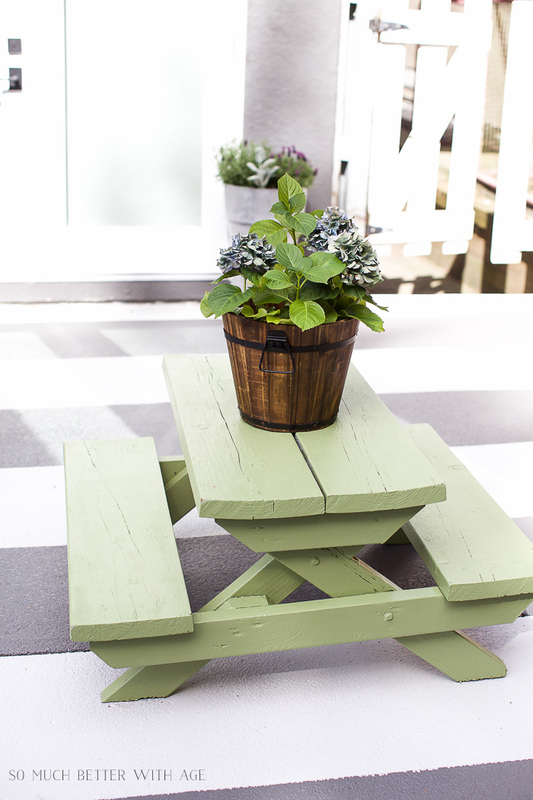 Love love love, this little picnic table, it would make a perfect plant stand, or to use on porch to showxase some jack o lanterns!! Also love your painted patio rug, amazing!! Those are such great ideas, Mandy! I love that little picnic table 😉 Thank you.